After setting up your blog and you wanted to rank your blog on the top of google search,What came in your mind to do so? You're right the very first think which struck in our mind to do so is Search Engine Optimization (SEO). These three words helps you to rank on Google searches and if you want to be on top you need to have a complete guidance or knowledge about SEO. So, in this post I am gonna share some of the major aspects of Seo. Stick around and rank up your website. 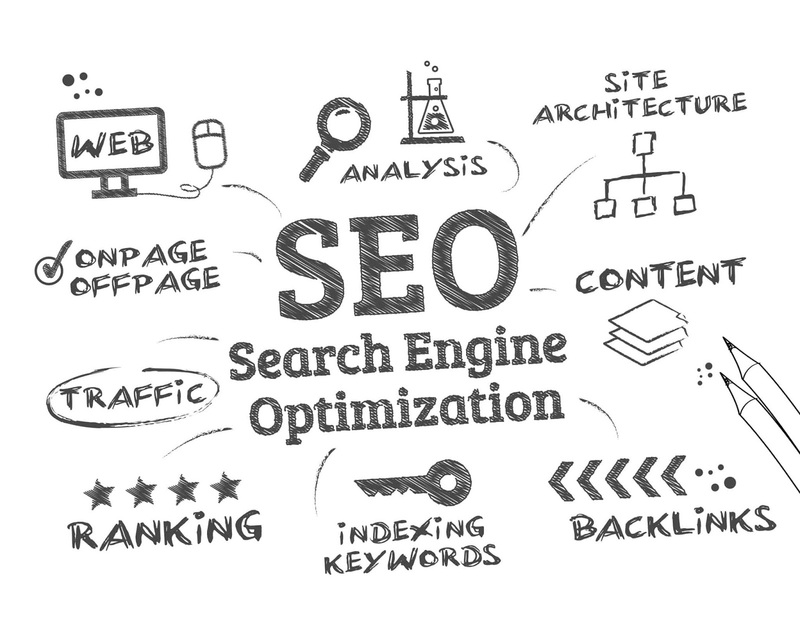 On page seo are the actions or activities you do on page to rank better on rank better on Google search results. Google launched an update called ' hummingbird' after which Google's bots actually crawl on your site and determine the niche of your site, so focusing on one niche can let Google know the theme of your site and help you rank better on search results. How To Write A Powerful Traffic Attracting Blog Post? Have you ever noticed that when you search something in Google, there is an link and then few sentences below it. The link you see is called title tag and the sentence is meta description. You need to add the keywords related to the term you want to rank for in the the title tag and meta description. Note: Do not over stuff it with keywords or Google will rank you down for over optimization. Also note that your title tag and meta description should be appealing to the user which get you more click through rate and hence better rankings. How To Optimize Post Titles For Seo In Blogger? How To Add Meta Tags In Blogger Blog For Seo? If your site has a certified domain such as .com, .edu or .gov it tells Google that your site is more trustable than the the sites which are on sub domains or hosted domains. Note: Don't waste your money on buying domains like .xyz or .tk they might be less expensive but they won't help you in ranking, instead they can affect your rankings in a negative way. As I mentioned above, the bots of Google crawl on your site to check your content, you have to put the keywords related to the term in your content to rank better in the search results. To get the keywords go to the Google's search bar type in your topic and you will see a bunch of keywords in the search suggestions. Search any of them and go to the bottom of search results, again you will get a bunch of keywords you can use all of them in your content. To ensure you are not over stuffing your site with keywords keep the KEYWORD RATIO under 4.7 which means nearly 4.7 keywords every 100 words. How To Choose Right Keywords To Boost Your Traffic? This is the modern age and no one wants to wait even a second for the results to display and Google wants to give it's customers what they want so if your website loads up slow, Google is going to push you at the bottom of the results. To check the real life loading speed of your website go to Gtmetrix.com which is a free service and allows you to check your loading time. One thing worth mentioning is that reducing your load time is not going to rank higher but it's going to help you from demotion of Google as most of the compititors have better loading time. After all this imagine you rank number one in Google and all users click on your site but what happens if those users don't like your site and content? They are going to go back and click on other sites which will tell Google that they were unable to solve their query through your site and Google is going to charge you seriously for that. Make killer content so that the viewer want to come back again to your site and become loyal. Put amazing themes get your content written by professionals and experienced people. Off page seo are the actions or activities that are done off page or outside your site to rank better in the search results. Off page seo is much more difficult than on page seo but the good thing is that importance of on page seo is 70% and off page seo is 30% to rank. Off page seo comes under a broad spectrum called 'BACKLINKS ', Backlinks are the links of your sites which are reffered by other sites. Backlinks tell Google that your content or site is more trustable and credible as other sites reffer your site. While getting backlinks from the sites do remember that the backlinks should come from the sites which are related to your niche and not from and random unrelated site. This is the easiest way for beginners to get backlinks, all you have to do is go to the site you want backlinks from, then check all the sites which are linking to it with the help of ahrefs.com . Then check each of the sites linking to that site and if any site of them is not working or closed tell it to the site owner( the one from which you want to get backlinks) that the site you gave link is closed and suggest your name. The site owner will be more than happy to give link to your site. Email the owner of the site from which you want to get the links and tell them to link your site. Off course it will not work Everytime but if you do it with 200 to 300 websites you can get some valuable links. BONUS TIP: Some people may tell you to comment the link of your site on the site of another people but let me tell you Google is not the thing you can trick. By doing this you will alert Google that you are no more than a spammer. This is a free tool developed by google, just put in a keyword and check how many people are searching that and other related keywords. It will also tell you that what is the condition of competition on that particular keyword. This isn't a free tool but the money you pay is worth it . Using this site you can see that how many backlinks you have, what your competition is doing, to which site they are linking to and much more. This is an application which gives you complete day about your viewers you can know how much time they spend on your site, which country they come from, and what's engaging them the most. It can be helpful for you know that which content should you focus the most on what is not working for you. You can give your viewers what they want. This is a complete set anaylisis tool . This will check how your website performs on the basis of seo and how well it optimizied for the search engine. The cool thing is that it exactly tells you how to fix those errors and suggests the best ways. And it is completely free. You can get that tool in neilpatel.com or simply by searching Neil patel seo tool. 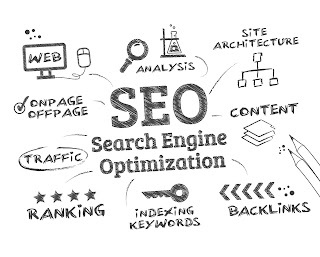 Search Engine Optimization is the only thing which helps you rank on searches. If you are implementing these tips on your blog you are surely going to have a excellent website with huge traffic. This post is not enough for SEO as it is a very big spectrum and you have to know all that you can about SEO. This is one of the best tips of SEO. Nice Blog and we are USA based SEO and Digital Marketing Company and offer best seo services in Wisconsin, Washington, Texas etc... Hire if you want increase you business leads online.